Disney enjoyed unsurpassed success at various 2014 industry cruise awards and quite frankly, it’s not hard to see why! For years, Disney Cruise Line has led the way in using cutting edge technology to create entertaining and interactive experiences for its passengers. The latest new development is the grand unveiling of the Animator’s Palate restaurant located on-board the Disney Magic and Disney Wonder. Rather than enjoy an evening meal in a traditional restaurant environment, Disney ship designers have created a collection of dynamic masterpieces designed to delight diners. What initially appear as framed pencil sketches depicting Disney characters soon transform into vibrant and colourful animations. Accompanying the cartoons is a soundtrack of music, effects and voices designed to create an immersive and inherently magical experience. 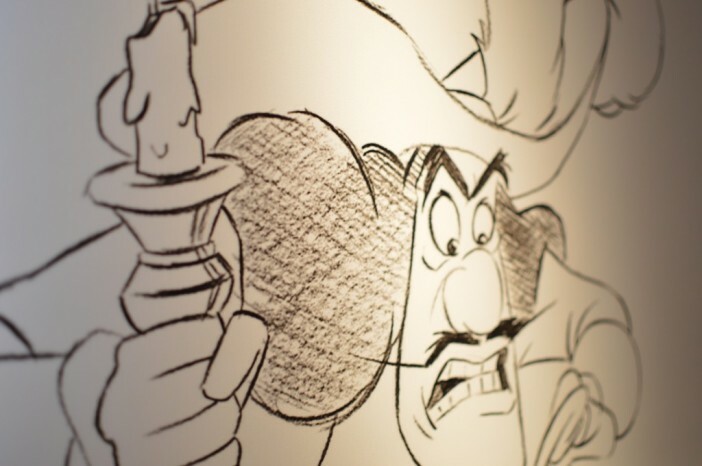 The enchanting artwork can also be found throughout the Disney Dream and Disney Fantasy. Once again, the pictures pose as paintings until a physical presence triggers an enchanting animation. What’s even more impressive is the fact that Disney has used next generation facial recognition technology to ensure that no passenger ever sees a sequence more than once. Artwork is scattered throughout the decks so passengers never know when they might be treated to a magical sequence. According to Bob Zalk, executive producer at Walt Disney Imagineering, it was important that the technology did not steal the spotlight. “It needs to be invisible to our guests. We want to ensure the technology doesn’t come to the forefront of the story,” he explains. As well as the use of occasional animation, Disney’s authentic charm is also retained through the use of a high tech anti-glare finish which makes the digital artwork blend in seamlessly with their still life companions. At the end of the day the artwork is a celebration of Disney’s legacy as the world’s favourite animators and storytellers – and we think they’ve done an incredible job! If you want to be whisked away on a magical Disney escape, Cruise 1st has a fantastic selection of Disney Cruise Line packages for every budget.